Have you ever looked at the third-gen Porsche Cayenne and thought it needs a sportier charachter? Regardless of your answer, the company’s execs did, and have allegedly approved it for production. The Cayenne Coupe has been on the table for quite some time now. And it seems that it will finally get greenlit for production, according to Autocar who reports that Porsche’s chief has approved it. 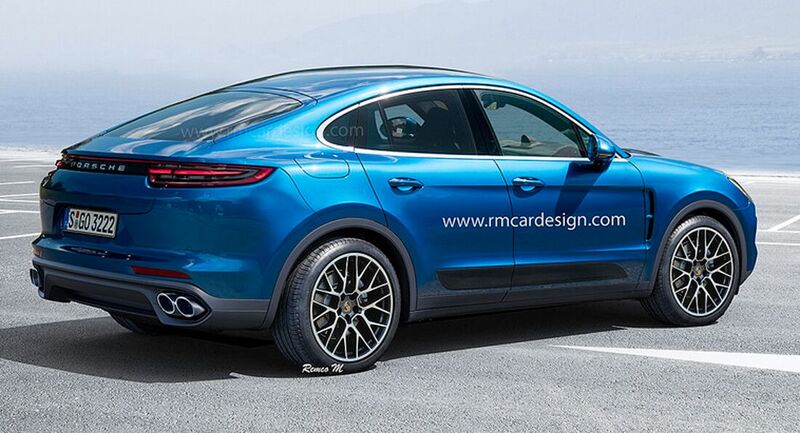 The Cayenne Coupe (or whatever it will eventually be named) should benefit from a slightly updated front end design as well as a new tailgate and rear lighting units, probably inspired by the new Panamera. 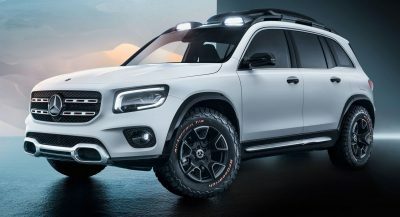 Rounding up the exterior work will be a lower roofline with shallower windows, which will place it in the same zone as the BMW X6, Mercedes-Benz GLE Coupe and new Audi Q8. 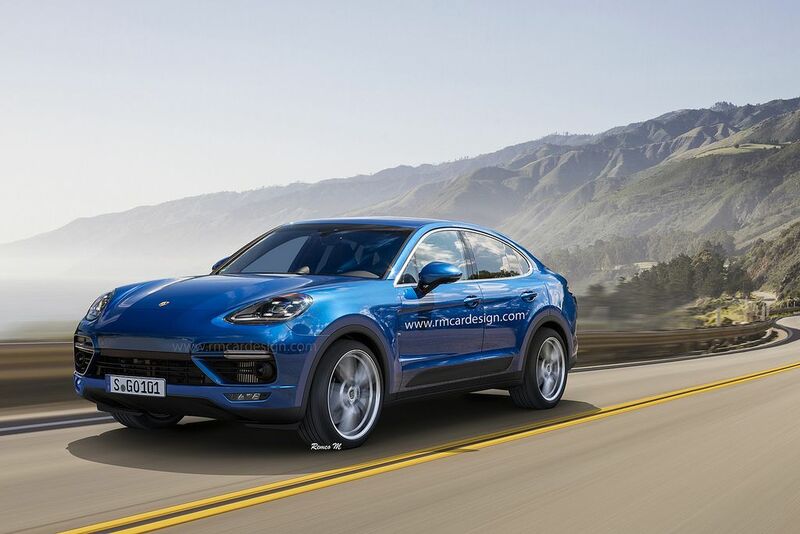 Porsche will refrain from offering diesel engines in the Cayenne Coupe, opting instead for the twin-turbo 2.9-liter V6 of the regular Cayenne, where it makes 440PS (434hp / 324kW) and 550Nm (406lb-ft) of torque. The twin-turbo 4.0-liter V8 that delivers 550PS (542hp / 391kW) and 700Nm (568lb-ft) of torque in the Panamera Turbo is rumored to power the range-topper. The British mag doesn’t say anything about a possible E-Hybrid version in the vein of the Cayenne, where it combines a turbo’d 3.0-liter V6 with an electric motor and a 14.1kWh lithium-ion battery pack. The total output is 461PS (455hp / 339kW) and 700Nm (516lb-ft) of torque and it’s channeled to all four wheels. Production of the upcoming Cayenne Coupe will probably take place at the brand’s factory in Leipzig, alongside the regular Cayenne. If everything goes as planned, Porsche should make the official announcement in the coming weeks/months. 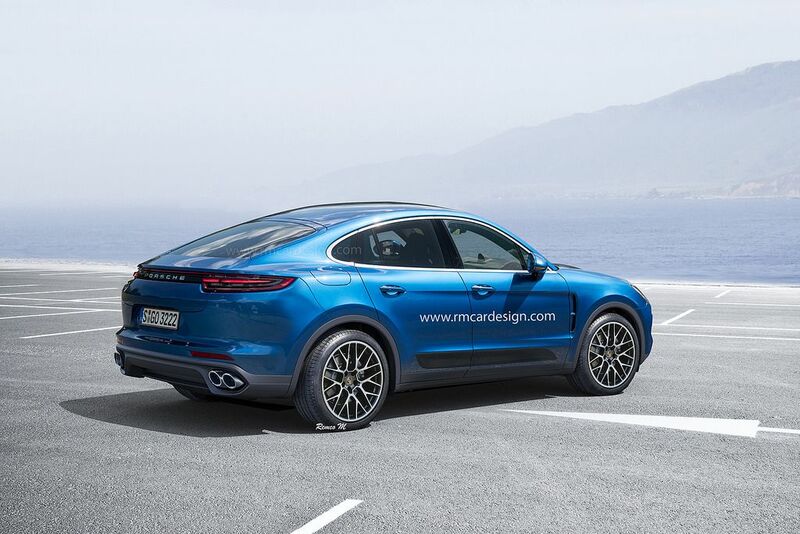 And this won’t be the only coupe-SUV from Weissach, as reports claim that a a Macan Coupe could very well be pitted against the BMW X4 and Mercedes-Benz GLC Coupe. Huzzah! More SUV coupes because that’s exactly what we need in our lives. A Panamera on stilts? Why!? This kind of car is just bigger and has more bootspace and requires more power. It does nothing good as sports car that is supposed to be light and agile. When are the Germans going to quit calling vehicles with 4 doors coupes? The model X is purposeful and awesome looking. This takes a great looking SUV and ruins it. It serves no purpose. Yea, purposeful and gullwing doors don’t really mix. Clearly you haven’t experienced an X. It’s incredibly easy to get in and out of the rear seats. Especially for older family members. Wished the front doors operated the same way. Oh so that’s the qualifier? Most SUV’s aren’t intended to boulder hop. As long as I can get up my driveway after a hurricane downs branches, or after a snowstorm, that’s all I need. 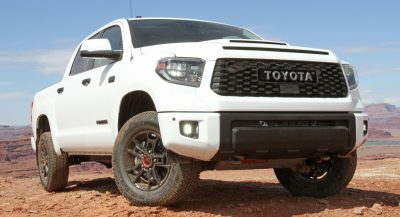 That it has an air suspension that raises it several inches makes it more capable than most. No, most SUVs aren’t intended to “boulder hop”, but the Tesla Model X isn’t more capable than most, not even when it comes to electric vehicles. I’ve witnessed what a Jaguar I-Pace can do off-road and its truly amazing. Perhaps Elon Musk can take some notes for the next-generation Model X, if the company is still going that long. Are you seriously bringing up a JLR product as some sort of benchmark that other cars should aspire to achieve? My Range Rover was billed as the uber capable off roader. It had a great AWD system, but it overheated on beach sand and went into limp mode right when you needed it the most. In comparison, my Model X is more sure-footed and better in every way that I need it to be. So please don’t give me your “I experienced a Jaguar iPace demo…” nonsense. Tesla should certainly be looking up to a company such as Jaguar Land Rover. They manage to churn out 600,000+ vehicles per year and make a decent profit on every single one, which is something Tesla and Elon Musk can only dream of! I will agree that some Range Rovers failed to live up to expectation in terms of reliability. The Volvo XC90 had the same issues too. Ford’s mismanagement of the companies are very much to blame! Ford, Volvo, Jaguar and Land Rover all find themselves near the bottom of the JD Power Survey for overall dependability. Hopefully once the reliance on old Ford parts stop, JLR and Volvo can flourish once more. So Ford is the reason that jaguars, range rovers and Volvo’s reliability is so spotty today? I get it. Just so you’re clear, Ford sold these brands over a decade ago, and jag and RR had horrendous reliability long before Ford came into the picture. 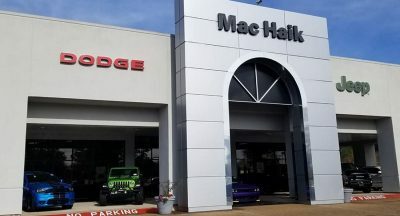 All three of these brands were unprofitable and would have been shuttered long ago if it weren’t for Ford providing economies of scale. Even under Ford, they couldn’t turn a profit which is why Ford sold to Tata. But for JLR, their failure to be profitable had more to do with labor instead of volume. You can bet Tesla has examined all of this, and is determined not to do what JLR has done. You’re deluded. Ford pretty much ran Aston Martin, Jaguar, Land Rover and Volvo into the ground before selling them off to other companies. They couldn’t afford the investment in the brands because they were hemorrhaging money in the US. In 2007, in Ford’s last full year of owning Jaguar, they sold 33,267 cars in Europe, 15,683 cars in the US and just a handful of cars in China. Last year, a whole decade later they sold 68,590 cars in Europe, 39,594 in the US and 22,340 cars in China. That to me seem like quite an improvement on volume! In 2016, JLR they sold 583,313 vehicles globally, followed by 621,109 in 2017. JLR saw a pre-tax profit of £1.6 billion ($2.15 billion), something Elon and his deluded fanboys can only dream of! Thank you for the sales numbers. With all due respect, you don’t know what you’re talking about. All the brands you mentioned would have been gone, had Ford not acquired them. They were worthless niche companies with impossible labor laws, ancient platforms and very limited R&D resources to produce their next generations of vehicles. At the time, Geely and Tata weren’t even in the picture. Today, Volvo is essentially Chinese, with all the efficiency that comes with being Chinese. Tata has dumped an absolute fortune into JLR, and they still produce garbage. A couple years ago, alongside my Range Rover, there were a dozen other Range Rovers parked in my garage in NYC. Today, there are several Tesla Model X’s, a Bentayga, a couple Escalades, and no Range Rovers. None of us wanted to spend another summer Saturday waiting around in the Southampton JLR service waiting room. I voted with my wallet, while you vote with your mouth. Perhaps you should buy a dictionary to find out what the word niche means. 1. “denoting or relating to products, services, or interests that appeal to a small, specialized section of the population”. The definition sounds a lot like the Tesla brand to me, you know, the one’s that can’t turn a profit! 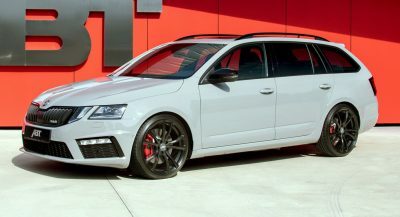 I HATE these big 4 door offroad sedan/hatch vehicles! 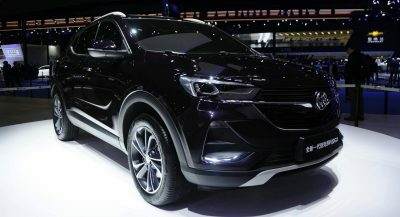 Imo it looks great and better than their current SUVs. looks great.. I was about to order a cayenne this fall..now I have to wait longer for the coupe..
Yuck. It’s ugly and has no practical purpose. It’s the image, I guess? This car is one way to spot people with more money than sense. I didn’t think it was possible, but this looks better than an X6. I hope they will change 911 into two-door crossover in one or two generations. The coupé name was derived from the French language verb couper, translating as cut. This argument has been going on for decades, but only recently have people started getting “bothered” by it. Rover released the P5B Coupe in the autumn of 1962 and that had four doors. Did he copy “charachter” too ffs. But Mercedes already makes this car! Umm… I thought “coupe” meant 2 doors? Next PostNext Is This Tesla Mobile Service Technician Sleeping Behind The Wheel?